Douglas A. Mata, MD, MPH, is a clinical fellow at Harvard Medical School and a resident physician at the Brigham and Women’s Hospital in Boston, Massachusetts. He attended the University of Cambridge and was a Fulbright Scholar at the European campus of the M.D. Anderson Cancer Center in Madrid, Spain. 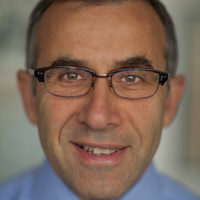 His letters, editorials, and original research have appeared in New England Journal of Medicine, Journal of the American Medical Association, Journal of Surgical Oncology, Lancet Psychiatry, and Proceedings of the National Academy of Sciences, and his work has been featured in CNN News, Newsweek, New York Times, Time Magazine, U.S. News & World Report, and the Washington Post. Dr. Mata recently published his first textbook, Statistics for Pathologists, and also serves on the faculty council for the First Aid for USMLE educational series. Dr. Constance Guille is an Associate Professor in the Department of Psychiatry and Behavioral Sciences at the Medical University of South Carolina (MUSC) and the Director of the Women’s Reproductive Behavioral Health Program at MUSC. She specializes in clinical and clinical research in reproductive psychiatry and physician mental health. Dr. Sen is the Frances and Kenneth Eisenberg Professor of Depression and Neurosciences, Associate Professor and Associate Chair for Research and Faculty Development in the Department of Psychiatry and Molecular and Behavioral Neurosciences Institute at the University of Michigan. Dr. Sen’s research focuses on the interactions between genes and the environment and their effect on stress, anxiety, and depression. He also has a particular interest in medical education, and leads a large multi-institution study that uses medical internship as a model of stress to determine genetic factors involved in moderating the relationship between stress and depression. He has also studied the relationship between duty hour requirements in medical training and medical errors. David Muller, M.D is the Dean for Medical Education, Professor of Medical Education and Medicine, and the Marietta and Charles C. Morchand Chair for Medical Education at Icahn School of Medicine at Mount Sinai. His current work focuses on creating alternative pathways to medical school (Humanities and Medicine; FlexMed; evolving partnerships with McKinsey and the Rhodes Trust) that are redefining national standards for undergraduate and post-bac pre-med preparation. He is also focused on developing creative training opportunities for medical students who are interested in diverse careers in medicine, including consulting fellowships and McKinsey and Deloitte, and research fellowships at Google Life Sciences and IBM. His recent honors include the 2015 Alpha Omega Alpha Robert J. Glaser Distinguished Teacher Award and the 2009 American Medical Association (AMA) Foundation Pride in the Profession Award. Under his leadership, ISMMS was recognized with the AAMC Spencer Foreman Community Service Award in 2009. In 2004 he was inducted into the Gold Humanism Honor Society. Dr. Muller co-founded and directed the Mount Sinai Visiting Doctors Program. Founded in 1995, Visiting Doctors is now the largest academic physician home visiting program in the country. David Muller, M.D., received his B.A. from Johns Hopkins University and his M.D. from New York University School of Medicine. He completed his Internship and Residency in Internal Medicine at The Mount Sinai Medical Center, where he spent an additional year as Chief Resident. In 2005 Dr. Muller was appointed Dean for Medical Education and the Marietta and Charles C. Morchand Chair in Medical Education. Lotte Dyrbye MD, MHPE, FACP is Professor of Medicine, Professor of Medical Education, and Consultant in the Division of Primary Care Internal Medicine at Mayo Clinic, Rochester, Minnesota. 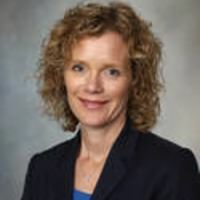 She is also Associate Chair for Faculty Development, Staff Satisfaction, and Diversity for the Department of Medicine, Mayo Clinic, and Associate Director of the Department of Medicine Program on Physician Well-being. She is the Primary Investigator on Mayo Medical School’s grant “Accelerating Change in Medical Education,” awarded by the AMA. Dr. Dyrbye is a graduate of the University of Wisconsin Medical School where she was selected AOA and she subsequently completed an internship and residency in Internal Medicine at the University of Washington. She has a Masters in Health Profession Education from University of Illinois. She holds numerous national education leadership positions, is the recipient of several national awards, and has received 11 competitive research grants. 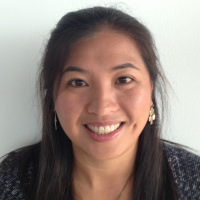 Her research interests are focused on medical student, resident, and physician well-being. Jonathan Ripp, MD, MPH is Associate Professor in the Departments of Medicine, Medical Education and Geriatrics and Palliative Medicine at the Icahn School of Medicine at Mount Sinai (ISMMS). He received both his undergraduate and medical degrees from Yale University and completed internship and residency in Internal Medicine (IM) at the Mount Sinai Hospital in New York City. At ISMMS, Dr. Ripp serves as core faculty for the IM Residency Training Program and faculty in the Mount Sinai Visiting Doctors home-based primary care program. He is also the Co-Founder and Director of the ISMMS Department of Medicine’s Advancing Idealism in Medicine (AIM) Initiative. 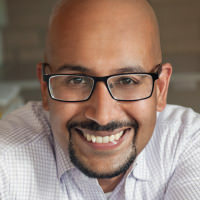 In this role, he helps oversee a curriculum for resident physicians dedicated to the promotion of humanism and idealism in medicine, an advocacy grant that supports idealism in medicine initiatives, and an invited grand rounds lecture series in which trainees and faculty are exposed to role models of idealism in medical care. He also co-directs the ISMMS Office of Graduate Medical Education’s Subcommittee on Resident Well-being and Resilience. This group is presently working to expand wellness offerings to the more than 2000 graduate medical trainees across the Mount Sinai Health System (MSHS) in an effort to reduce trainee burnout and promote a healthy work place. 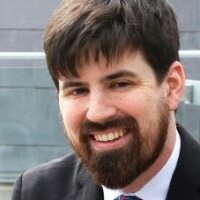 Dr. Ripp is also the Co-founder and Co-Director of CHARM, the Collaborative for Healing and Renewal in Medicine, an international group of medical educators, academic medical center leaders, experts in burnout research and interventions, and learners all working to promote learner and trainee wellness. Recognized for his leadership in this area, Dr. Ripp has been invited to attend the Accreditation Council on Graduate Medical Education (ACGME) Symposia on Physician Well-Being as well as join the American College of Physician's Promoting Physician Wellness Task Force. Dr. Ripp’s primary research interest is in resident physician burnout and well-being, for which he has received grant support and has published and lectured widely. His multicenter studies have served to better elucidate the causes and consequences of job burnout in IM residents and have explored interventions designed to promote trainee well-being. He continues to explore ways to mitigate burnout in residents and advocate for increased awareness and policies that address burnout among medical trainees.